Performing ensembles across the United States are raising money faster and easier than ever before. FansRaise is a structured, student-driven crowdfunding system that is designed specifically for the performing and marching arts. School music programs, independent arts, programs, and non-profit performing arts ensembles around the country are using FansRaise to not only raise money for much-needed programs, but are also teaching important skills to students in the areas of ownership and responsibility. 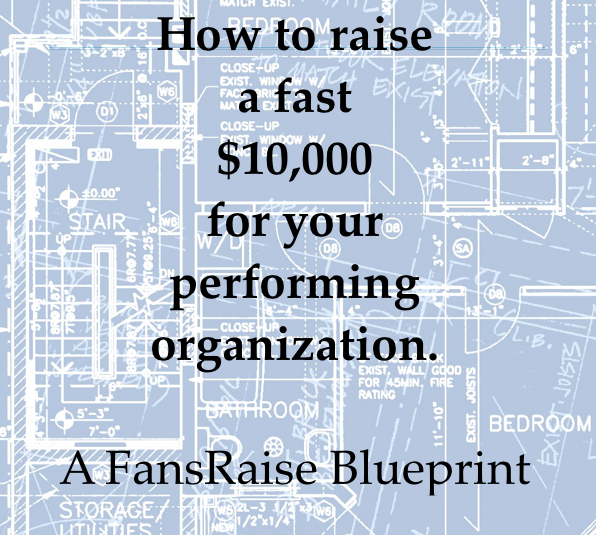 FansRaise was created by a team of current and former music educators, band parents, and non-profit administrators to help performing programs grow. Complete the form below so we can email you a copy of the $10,000 Blueprint.